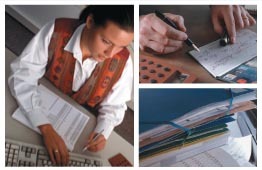 C&E Lockbox Services offers you total convenience and complete accuracy in managing your billing and collection process. Since 1976, C&E has been providing Lockbox Service for Schools, Property Managers, Homeowners Associations and Medical Practices. Choose a link below and let us show you the benefits of working with C&E Lockbox.